Turning around your workload in a timely fashion creates happy, satisfied clients, making you that much more referable. Timely workflow also has a positive impact on the ever-important bottom line. So if you’ve taken on more work in recent months that you haven’t been able to get out the door, here are a few tips to clean out that backlog. Meet with Your Team – Start by meeting with your team to get everyone on board to tackle the list and establish realistic deadlines so they know what is coming their way. Make a List and Check It Twice – Create a thorough list of any open files and questions that clients are waiting to hear back on. Put the list front and center in your office where all staff can see it several times a day. A white board works great, and staff can review and update it each day. Prioritize the List – Oldest that are most urgent to the most recent. Next to each one, set a reasonable deadline, tackling the most urgent ones first. Commit Time on Everyone’s Calendar – Block an entire day each week to push the oldest files through or work in two hours a day to tackle the documents for that week. Everyone knows during “blocked” hours, there are absolutely no interruptions. This should be covered in your first meeting with the team to set the proper expectations. 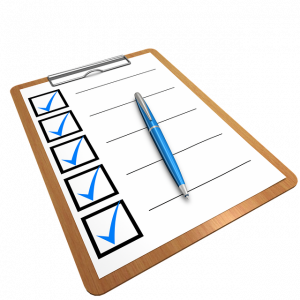 Review the List Daily – Have daily 10 minute huddles with your team to review the status of each file and actions that will take place by the end of the day to push the file through to completion. Create a Rewards Program – If files are completed before or on the established deadlines build in some rewards. They can be fun things like lunch out of the office, a happy hour down the street, half day off on a Friday, spa certificate for a massage or anything your team would appreciate for the extra efforts put forth. Once the backlog is looked after, reevaluate your workflow systems. List out the culprits that caused the backlog in the first place and identify solutions that will eliminate those obstacles in the future. There is no blame to be placed on individuals, just systems that are not working efficiently.